This beautiful 3 Oz Silver coin is the third release in the “Legends of Asgard” series and features Ymir, the first ice giant and important figure in Norse mythology. 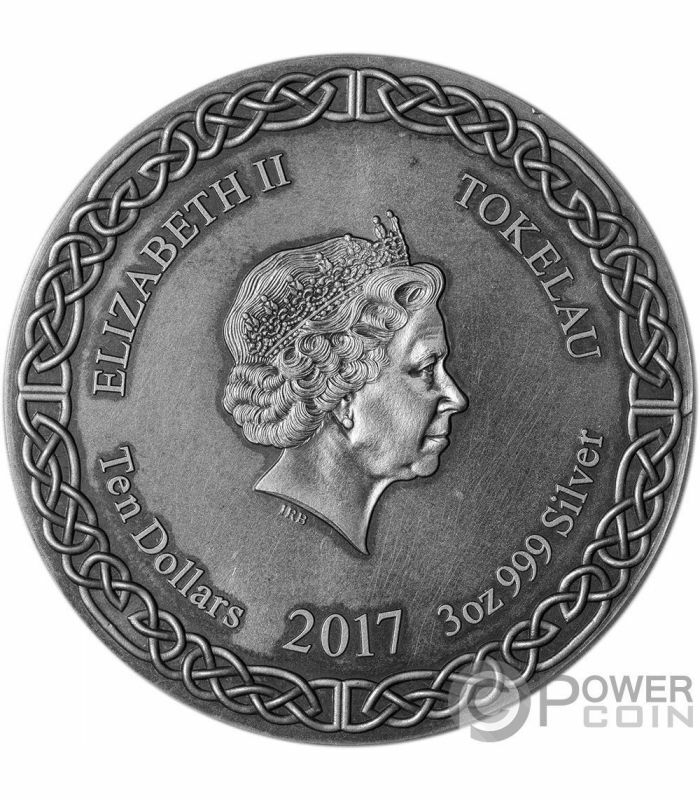 The coin has a remarkable Max Relief, has an incredible design, has an Antique Finish quality and comes in an attractive case, along with the Certificate of Authenticity. 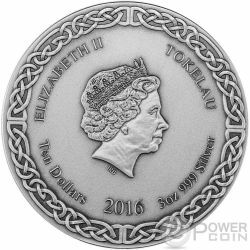 Limited mintage to only 1.500 pieces worldwide! 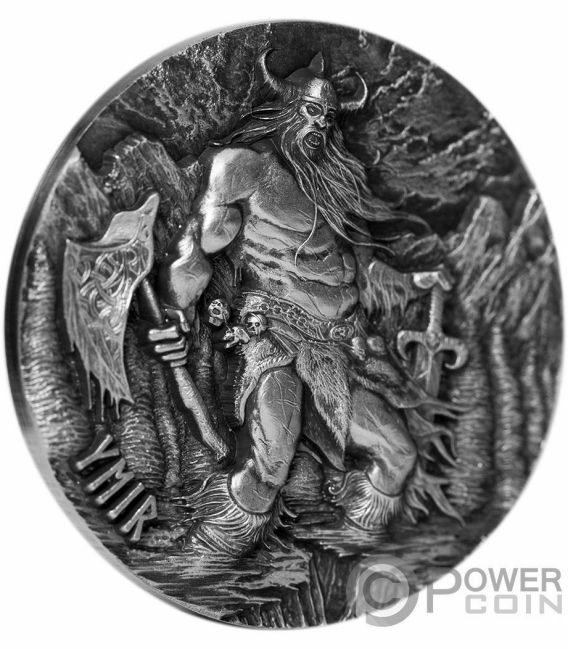 In Norse mythology, Ymir, Aurgelmir, Brimir, or Bláinn is the ancestor of all jotnar. 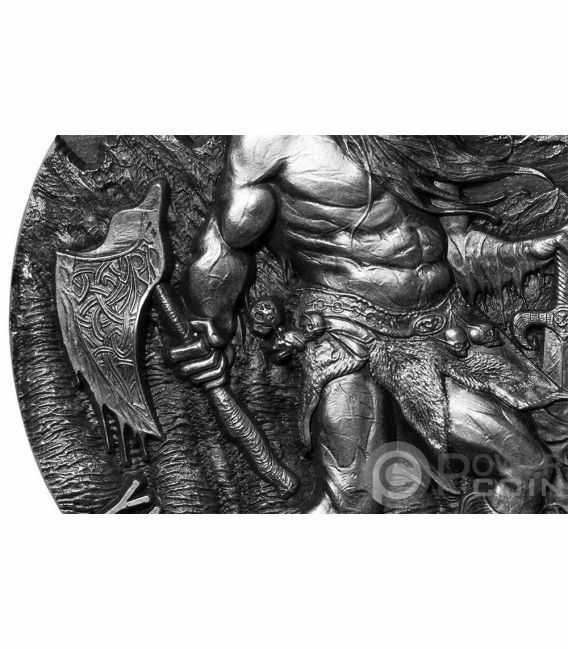 Ymir is attested in the Poetic Edda, compiled in the 13th century from earlier traditional material, in the Prose Edda, written by Snorri Sturluson in the 13th century, and in the poetry of skalds. 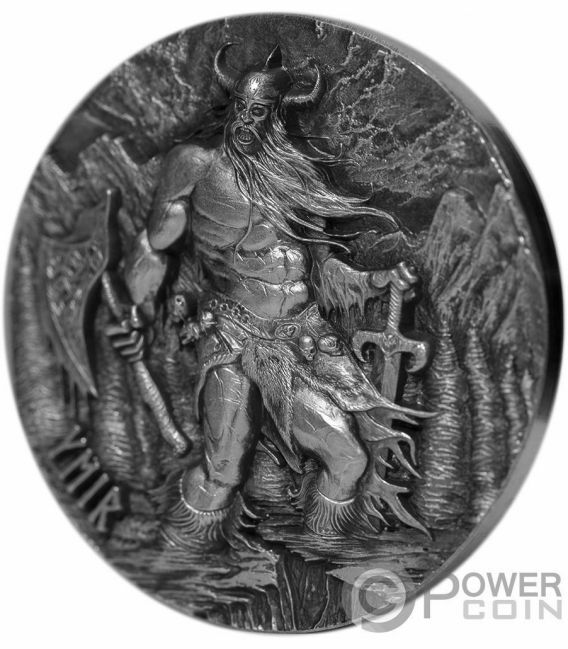 Taken together, several stanzas from four poems collected in the Poetic Edda refer to Ymir as a primeval being who was born from venom that dripped from the icy rivers Élivágar and lived in the grassless void of Ginnungagap. 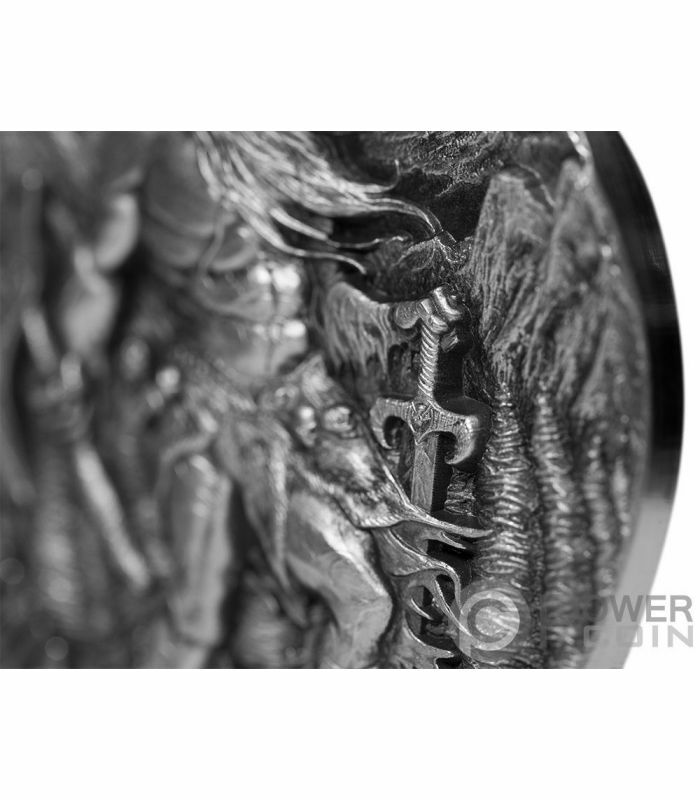 Ymir birthed a male and female from the pits of his arms, and his legs together begat a six-headed being. 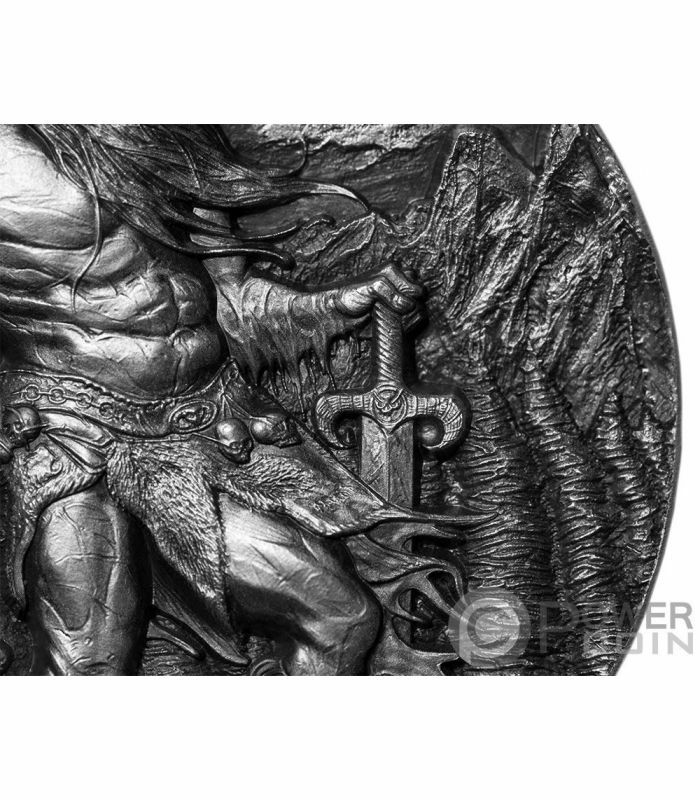 The gods Odin, Vili and Vé fashioned the Earth (elsewhere personified as a goddess; Jörð) from his flesh, from his blood the ocean, from his bones the hills, from his hair the trees, from his brains the clouds, from his skull the heavens, and from his eyebrows the middle realm in which mankind lives, Midgard. 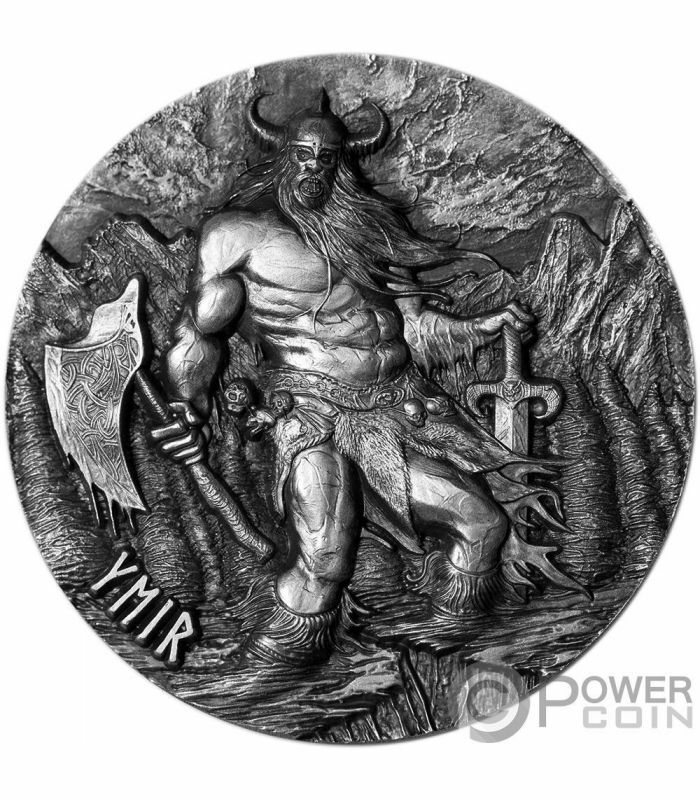 In addition, one stanza relates that the dwarfs were given life by the gods from Ymir's flesh and blood (or the Earth and sea). 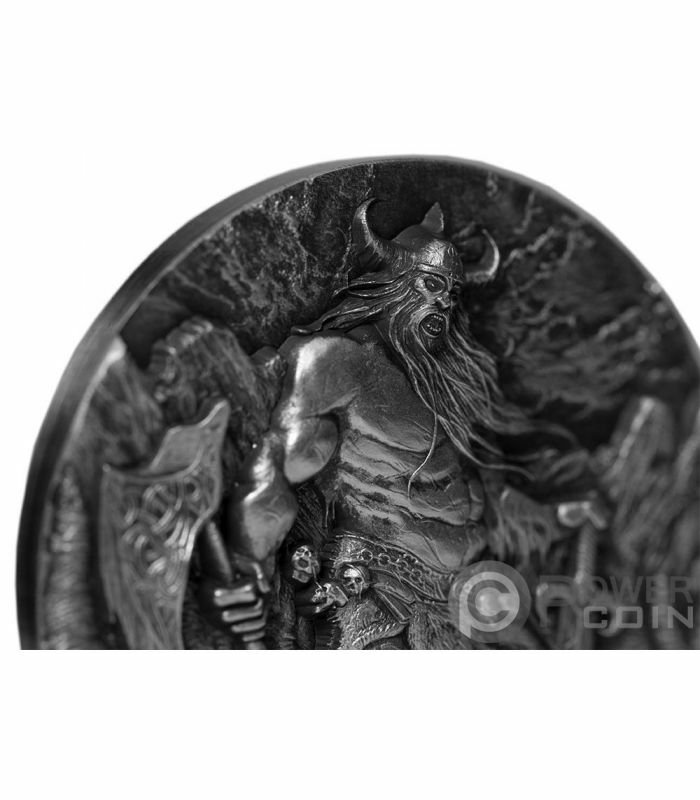 The reverse of the coin presents the incredibly detailed image of the ice giant Ymir in all its power, with a giant axe in his right hand and a long-sword in his left hand, shouting as if he were about to start a battle. 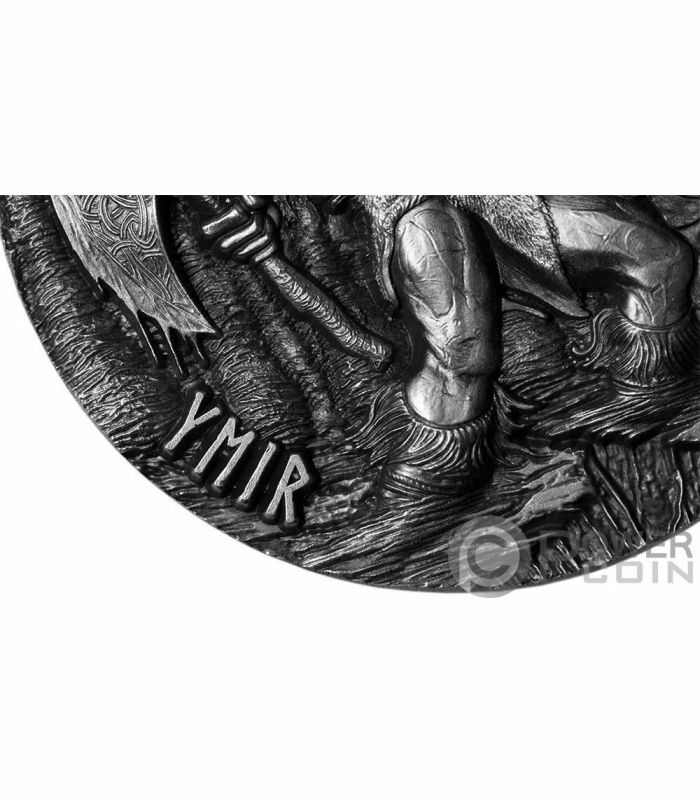 On the bottom of the reverse, the inscription: “YMIR” – the name of the coin. 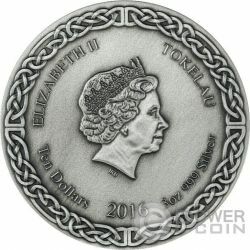 The obverse of the coin features the effigy of Her Majesty Queen Elizabeth II, surrounded by Norse decorations and the inscriptions: “ELIZABETH II” - the name of the Queen, “TOKELAU” – the issuing country, “2017” – the year of issue, “3oz 999 Silver” – the weight of the coin and the fineness of the Silver and “Ten Dollars” – the face value.